Two Dot Books, 9781493018024, 232pp. 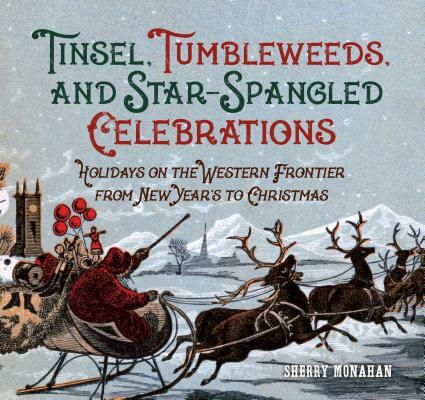 Celebrate the Holidays Old West Style Holidays on the frontier were a time for celebration, stopping work and chores, and honoring their purpose. This book includes stories of all the biggest celebrations, including traditions, food, songs, games, and other fun tidbits. Fifty food and drink recipes and the rules for typical parlor games of the time are included along with sidebars on common gifts of the time. First-hand accounts, newspaper articles, journals, photos, and Victorian memorabilia complete the package. SHERRY MONAHAN is the Past-President of Western Writers of America. She has her own column (Frontier Fare) in and is a contributing editor for True West magazine. Her other books include The Cowboy's Cookbook, Mrs. Earp, and Frontier Fare.